At Nickerson company, we like to pride ourselves on looking at every new challenge as an opportunity. While we specialize in pumps of all shapes and sizes and installing those new systems for companies large and small, we also excel at repairing pumps and creating custom solutions for our clients. 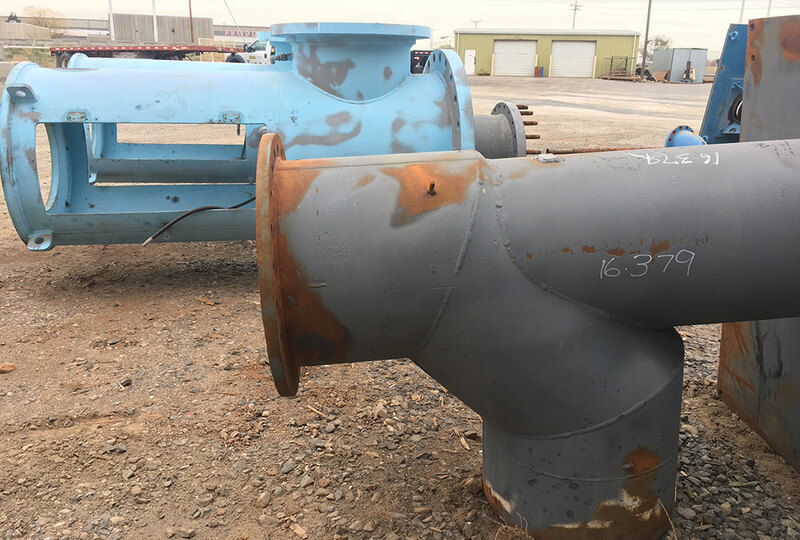 As pumps and systems age, various components including critical fabricated steel parts will inevitably deteriorate due to the effects of erosion and/or corrosion. Sometimes the only solution is a new pump. However, even with older pumps with no replacement parts readily available, if we can fix your pump, that’s exactly what we’re going to do. The question, of course, is how do we fix a pump that no longer has critical fabricated steel parts available? The answer is in the time-tested art of custom fabrication. With our fully stocked fabrication shop and our seasoned fabricators at the helm, we are capable of many surprising and exciting custom solutions. The question we often get, however, is what is fabrication? How does it work? Custom shapes cut from raw materials. Fabrication is the building of a structure (such as a pump column, suction barrel or discharge head) from raw materials (usually carbon steel or stainless steel) by cutting custom shapes and pieces and then assembling them into a larger whole. We begin the process by drawing up plans for the piece we want to make, including precise measurements for the piece itself and the individual shapes that make up the final product, and then being the process of cutting, forming, and assembling. 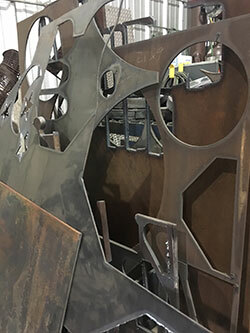 Cutting is done by using different techniques to take a raw piece of metal and create the unique shapes we’ll need to create our final product. Sawing, torching, and numerical control cutting tables (CNC) can all be used to create the pieces we need. Assembly of component parts into a finished structure is typically done by welding parts together using either stick rod or wire feed machines. The assembly step is where all of the planning and detailed drawings show their value. As we assemble we see the precision come together, literally, to create something all together new for our clients’ needs. The final step is to move the fabricated parts into our in house machine shop to finish the critical fit surfaces that must meet specifications for all critical dimensions, concentricity and parallelism. In order to extend the life of the new fabricated components we also offer a wide variety of epoxy coating systems including fusion bonded epoxies to resist corrosive damage. Fabrication is one of many ways that we can customize our client’s pump systems, whether we’re installing a new system or repairing an old pump. What may seem to be a simple enough process is actually a fine art, one that takes years to learn, and decades to master. At Nickerson, our master fabricators are one of many key differentiators that allow us to tackle any challenge.